Since moving to Colombia, I have found it is like going back in time, kids don't spend all their time in front of the TV, nor do the adults, more time is spent doing things as a family, so I decided that I needed to make my own games. 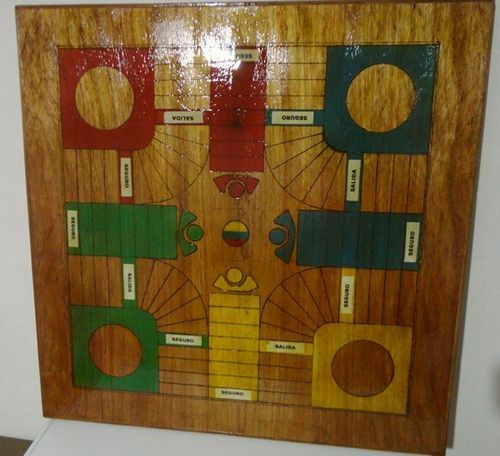 The first was Parqués, the Colombian version of aggravation / parchis, I made two versions on the same board, so that it can be played by four or six. The lines are all burnt in by pyrography, the coloured ares masked and spray painted, then it was all given a couple of coats of varnish. 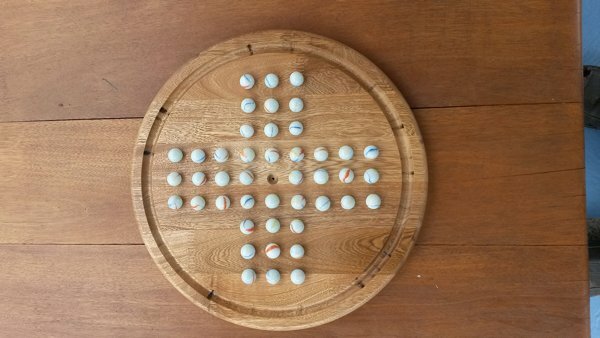 That done, then it was Chinese Checkers, I used 3/4" laminated oak, the hurdle here was making sure I got all the scooped holes in line, but using a paper template, I was able to mark all the centres with a hammer and punch, followed by routing the holes with a bull nose bit, freehand. The marbles I spray painted with paint left over from Parqués, the trim is from scrap mahogany. Finally so far... Solitaire, again for marbles. 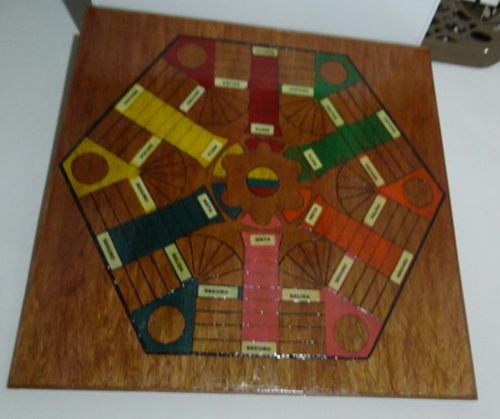 This time it was to be a circular board, although that is not necessary. 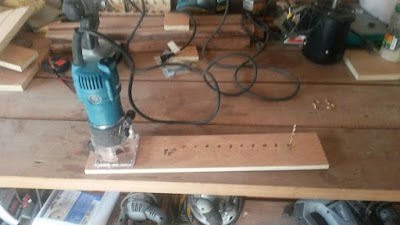 I used my scrap circle cutting jig to cut the circle, and also the inner channel, together with my trim router. 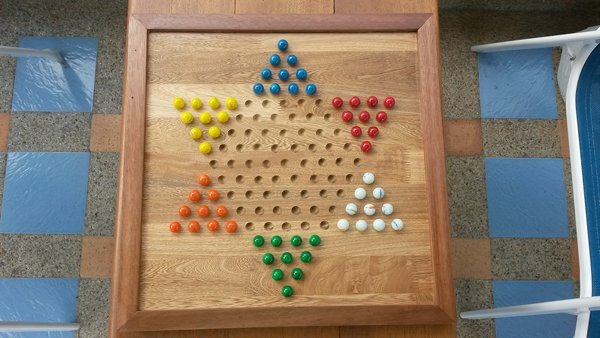 The holes were done in the same way as with Chinese Checkers, but using my plunge router. Fortunately the marbles didn't need painting for this one.